What’s inside a vintage Fluke 5450A Resistance Calibrator used in cal labs to calibrate multimeters? EEVblog #1198 – 10 Years On Youtube! Buy anything on Aliexpress & Dave gets a commission! 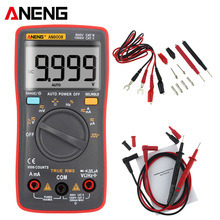 AliExpress.com Product - ANENG AN8008-True RMS Digital Multimeter 9999 counts Backlight AC DC Ammeter Voltage Ohm Current Square Wave Auto / ManualBuy anything on Amazon or from a 3rd Party & Dave gets a 7% Commission! 180,000+ electronics nerds views every month, both hobbyist and professional. Put your ad here. Look HERE for details. No Script, no fear, all opinion! The EEVblog is the world's biggest engineering blog. An off-the-cuff video blog for Electronics Engineers, hobbyists, hackers and makers. Buy anything on Amazon & Dave gets 7%!